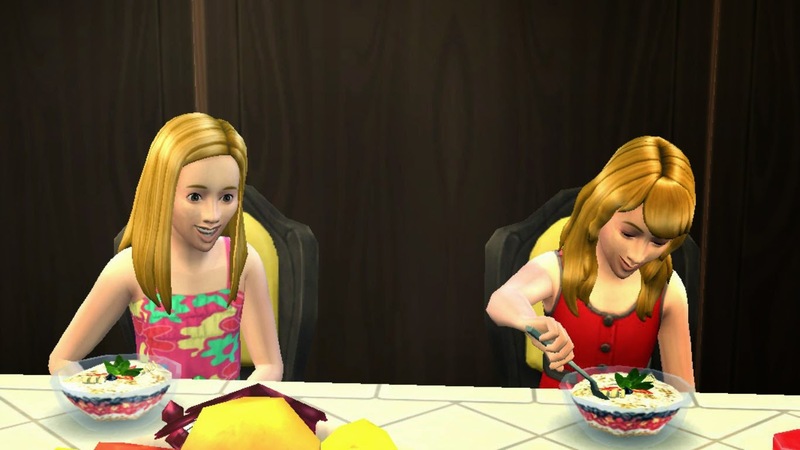 I don't play with the baby age much.So I aged Rosella and Alisha up to child.I made their hairstyle different so that I could recognize them.Rosella's aspiration is Rambunctious Scamp and Alisha's is Whiz Kid. 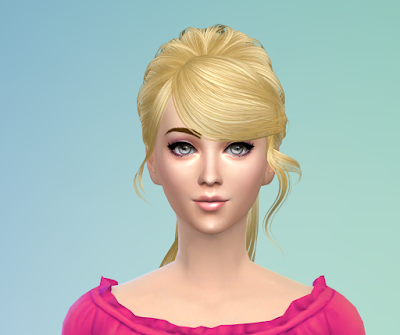 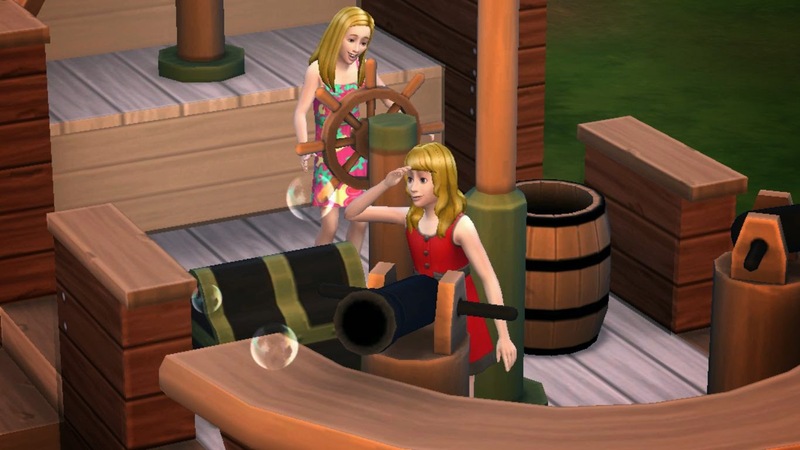 I wish Sims 4 had the toddler age!!! 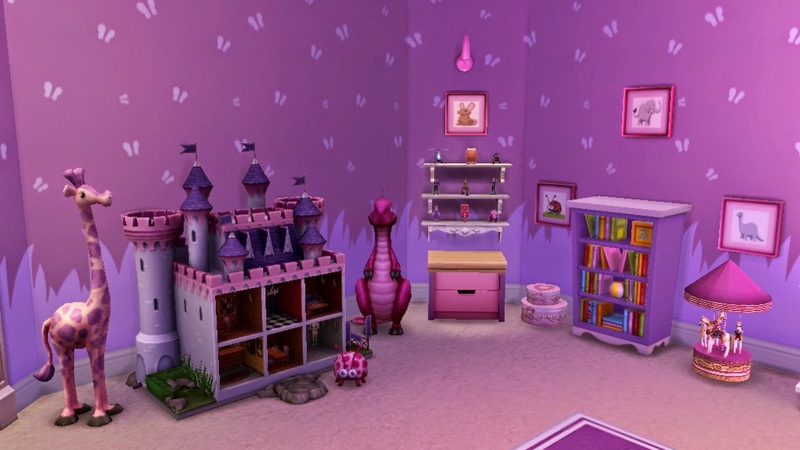 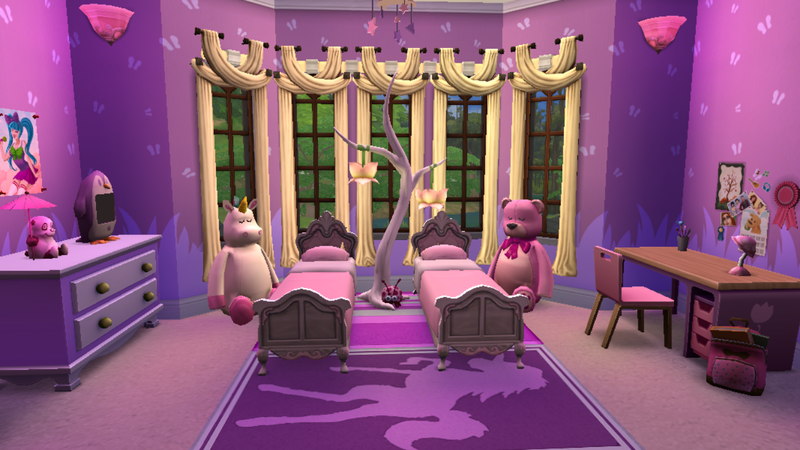 Formerly I made "Little Princess Bedroom" expecting Jennifer giving birth to a baby girl,but then I got two little princess at once.So I had to make the twin version of that room. 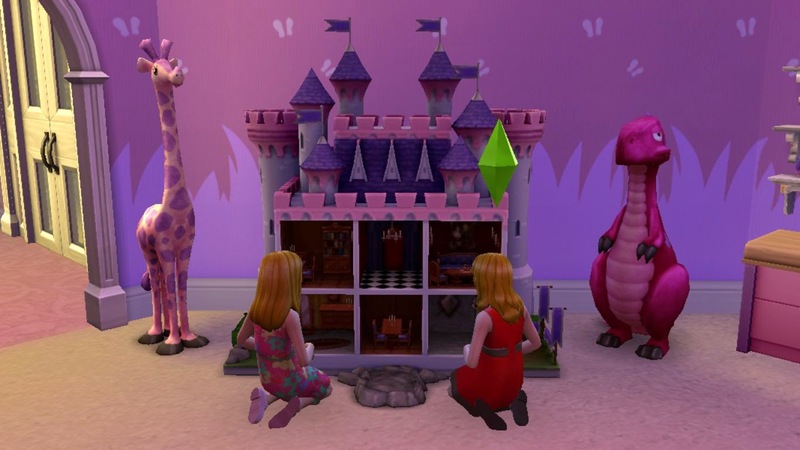 Rosella and Alisha went to play with dollhouse in their room.Later I send them to the park. 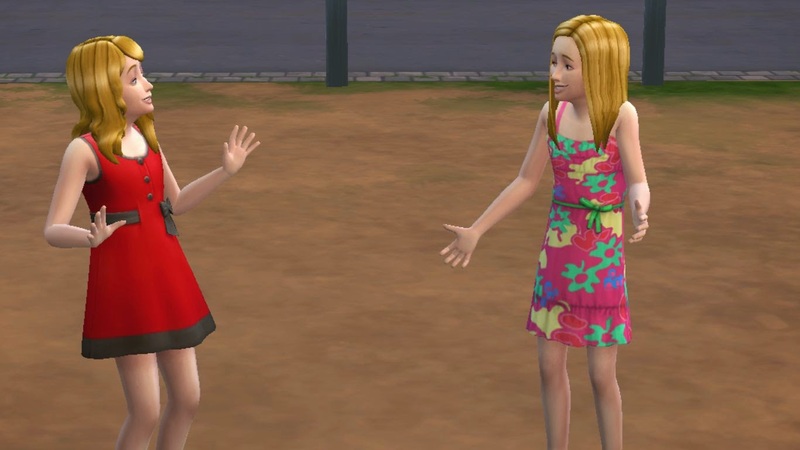 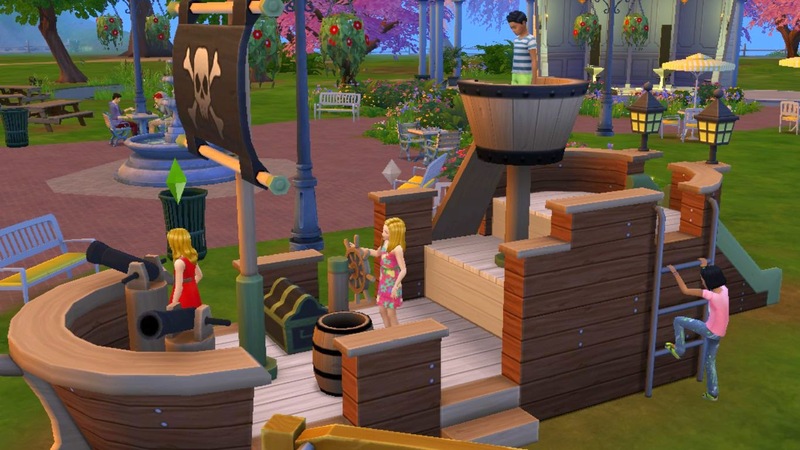 In Sims 4 playing with kids is more enjoyable than in Sims 3.When they arrived at the park there were already 5-6 kids in the park.Later the number increased to 10.They played in the jungle gym with other children in the park. 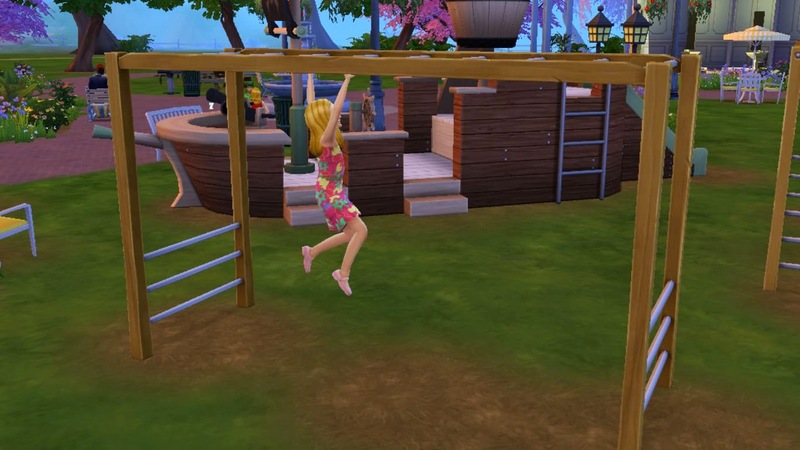 Rosella played on the monkey bar too and earned motor skill.As it was getting dark they left for home. 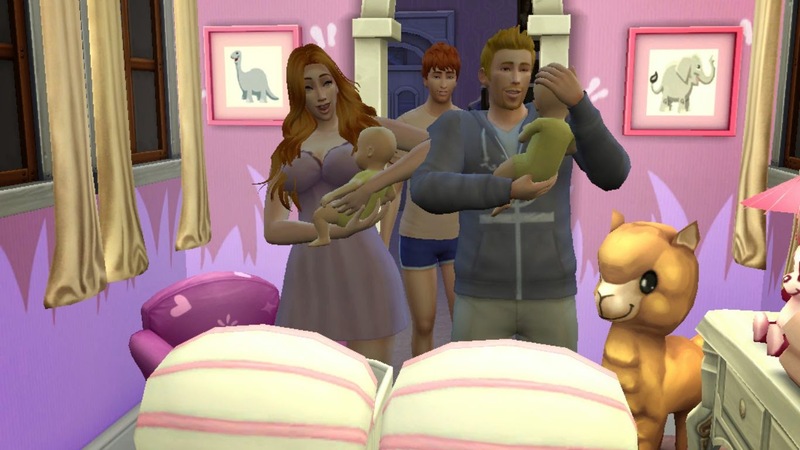 On returning home they felt very hungry and aunt Laura served them dinner.Jeff and Jennifer had been planning to go on a vacation in Granite Falls with the whole family before the kids' school started. 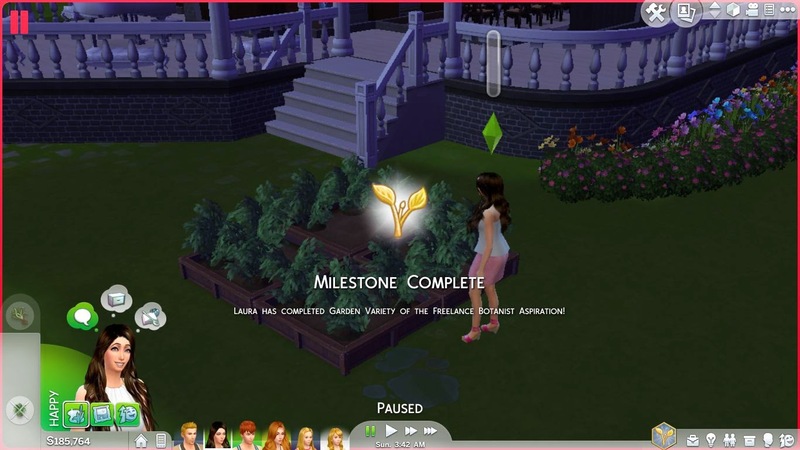 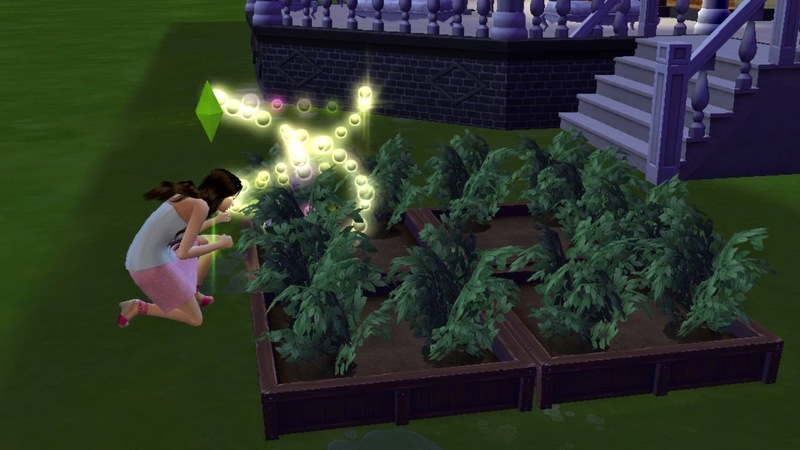 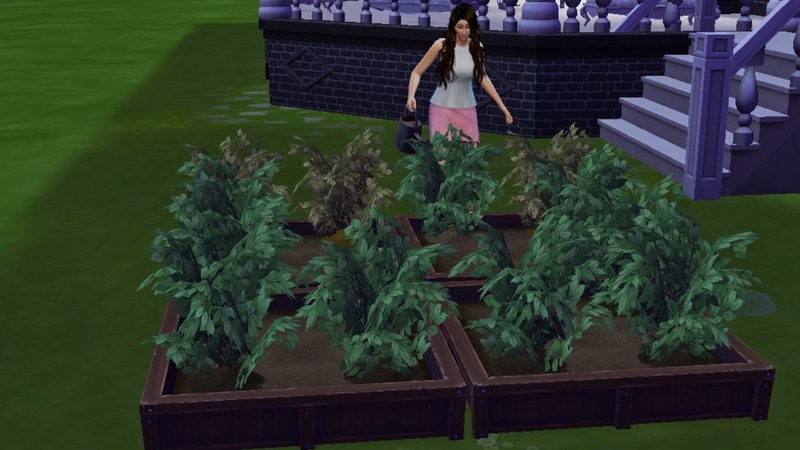 As they would leave for Granite Falls on the next morning,Laura started taking special care of her beloved plants so that they won't worn away while she being away from home.She also completed her aspiration milestone.